La Staffa Winery are a great, small, family winery that is based in the sub-region of Castelli dei Jesi in the Marche region of north-central Italy. 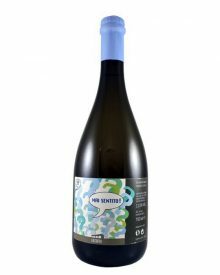 They are fairly new and revolutionary for a few reasons namely the quality of the wines and the fact that everything is grown organically - leading to the most natural wines made as possible. La Staffa's young owner and enologist Riccardo Baldi is 24 and has already made 4 vintages). The vineyards and winery in the beautiful rolling hills outside the little town of Staffolo in Marche region.